THCA is fast becoming one of the most fascinating and widely discussed cannabinoids being researched and used today. But before we explore THCA specifically, let’s give you a brief overview of cannabinoids. Cannabinoids are chemical compounds that bind with the cannabinoid receptors in our cells in both our brains (CB-1) and our bodies (CB-2). The ligands for these receptor proteins include endocannabinoids, which are produced naturally in our bodies; phytocannabinoids, which are found in cannabis; and synthetic cannabinoids, which are artificially manufactured. These various cannabinoids have different effects on our brains and bodies depending on the receptors they bind with. For example, tetrahydrocannabinol (THC) – perhaps the most notable cannabinoid – binds with receptors in the brain, resulting in the psychoactive effects for which cannabis is most widely known. Meanwhile, other cannabinoids can produce non-psychoactive effects such as pain relief. There are currently around 113 cannabinoids that have been isolated from cannabis. In addition to THC, these include cannabidiol (CBD), cannabinol (CBN), and of course THCA, which we’ll cover in more depth in this guide. While it’s still early days, the research into the cannabis compound tetrahydrocannabinolic acid (THCA) already suggests it has some very potent therapeutic benefits. Although it shares some letters with THC, THCA does not share those famed psychoactive properties. In fact, THCA is a precursor to THC, and it’s found in raw and live cannabis. Only when the plant dries will THCA slowly convert to THC. Heat can speed up this process, known as decarboxylation, which is why smoking or vaporizing cannabis can result in a high. But if you don’t intend on heating cannabis and prompting the decarboxylation, what can you expect from THCA? If you were to stop someone on the street and ask them how cannabis is commonly consumed, chances are they’ll tell you that it’s smoked. However, many people don’t realize that there’s a benefit to consuming cannabis raw – uncured and unheated. When fresh – and not exposed to heat – the cannabis plant has resin glands that are rich in compounds called cannabinoid acids. THCA is one of the most prominent of these. This means that fresh cannabis contains very little or no THC as the decarboxylation process hasn’t fully taken place. If you wish to experience a high from cannabis, you need to expose the bud or leaves to heat, which expedites the decarboxylation process and breaks down THCA into THC. If you were to look closely at cannabis buds, you’d notice that they are covered in a sticky resin. This resin contains hundreds of compounds called cannabinoids and terpenoids. 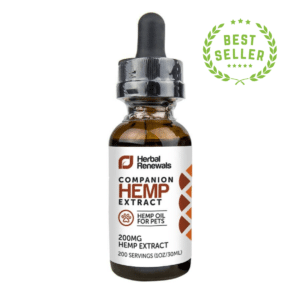 We’ve already touched upon the likes of THC and CBD, but there are many more present and working together to produce various effects. The way these compounds work together – the “entourage effect” – has ignited an interest in cannabis in its rawest form and shone a light on the efficacy of THC- and CBD-only medicines. THC- and CBD-Only Medicines – Do They Work? In contrast to the “entourage effect,” many THC-only and CBD-only medicines have been produced to strip out other cannabinoids. THC-only products have been synthetically rendered as legal pharmaceuticals, prescribed to cancer patients to treat nausea. However, a pill containing only THC can take hours to take effect whereas the whole plant – when inhaled or infused – can result in relief immediately. Similarly, CBD-only medicines have been produced to remove THC, therefore circumventing laws banning THC products. Many states adopted CBD-only laws when it became apparent that medicines containing CBD seemed to positively impact the lives of those suffering from seizures. And yet the effects of CBD-only medicines are narrow when compared to whole-plant medicine. Whole-Plant Medicine – Why Is It Different? Using the full complement of cannabis compounds, whole-plant medicine offers an interesting alternative to the so-called THC- and CBD-only medicines. This is because, in contrast to these medicines, the whole plant (and all of its subsequent cannabinoids) is utilized, meaning a wide range of potential therapeutic benefits can be experienced. While strains of cannabis have been bred to produce disproportionate amounts of THC and CBD, the chemical diversity of cannabis has become more important as research goes on. With a greater emphasis placed on other cannabinoids beyond THC and CBD, the focus has shifted towards examining the effects and benefits of THCA. Research into the effects and benefits of THCA is still in its infancy. However, early studies and anecdotal feedback would suggest that it has a part to play as the idea of utilizing cannabis in medicine continues to evolve. The THCA present in raw cannabis appears to produce necrosis in plant cells. This means it helps the plant remove dead or dying cells. Our own immune system has a similar function – something called “programmed cell death” – where damaged, aged, or diseased cells are killed off. Cancer is the result of this programmed cell death no longer working, which, in turn, leads to diseased cells spreading instead of dying. A study of cell cultures and animal models from 2013 suggested that THCA could prevent the spread of prostate cancer cells; something that falls in line with other research pointing to cannabinoids stopping the proliferation of various forms of cancer. Inflammation is a natural response to injury, illness, and stress within our bodies. However, should that inflammation become systemic, it can contribute to everything from autoimmune disease to mental health issues. That’s why it’s interesting to note that, like many of the cannabinoids present in cannabis, THCA is thought to be very strongly anti-inflammatory. Antioxidants are compounds that can counteract harmful toxins within our body. And, like a number of cannabinoids, raw THCA is a strong antioxidant. Encouragingly, a 2012 preclinical study observed that THCA was able to address the damage caused by neurotoxins. Although additional research is required, this suggests that THCA could potentially be used to treat neurodegenerative diseases such as Parkinson’s Disease. Many people already turn to cannabis to counterbalance feelings of nausea, opting to smoke or vaporize the plant in an attempt to alleviate symptoms. But early research would suggest that the THCA found in raw cannabis is also adept at bringing relief to those suffering from bouts of nausea, vomiting, or loss of appetite. According to research, it would appear that THCA is capable of interacting with the TRPA1 receptor. This particular receptor is part of what allows us to respond to pain, temperature, and even itching. The THCA found in raw cannabis could, therefore, reduce pain and calm painful muscle cramps and spasms. Finally, research indicates that THCA has a part to play as a natural insecticide. This is consistent with the fact that cannabinoids in general act as both an immune and defense system for the cannabis plant. By adding raw cannabis oil to a skin cream, insect bites could be kept to a minimum. As we’ve previously discussed, THCA is already present in cannabis that has not been exposed to heat. THCA levels are particularly high in freshly harvested, raw cannabis, which means growing your own plants gives you the best opportunity to access THCA. And doing so gives you the option of juicing or blending the raw cannabis leaves (more on that below), or extracting the THCA to make a tincture. Watch the following video to learn how to do just that. According to Dr. William Courtney, consuming raw cannabis means you can ingest over 1,000 times more beneficial cannabinoid acids than if you were to consume the psychoactive THC. And one of the best ways of doing so is to juice or blend the raw cannabis leaves or buds. Learn to make your own Raw Cannabis Green Smoothie in the video below. 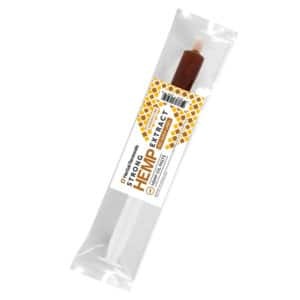 What’s more, there are a number of products currently on the market designed to deliver the benefits of THCA without the risk of ingesting any psychoactive THC. 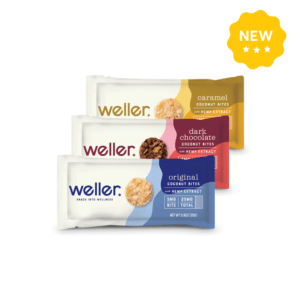 These products include transdermal patches from both Present Naturals and Mary’s Medicinals. The patches isolate the THCA cannabinoid, ensuring that you experience only the intended effects of THCA and nothing else. In its rawest form, cannabis doesn’t produce THC or CBD. Rather, it produces cannabinoids in an acid form, synthesizing tetrahydrocannabinolic acid (THCA) and cannabidiolic acid (CBDA). It’s worth repeating that THCA is not psychoactive, and, in order to break it down into THC, it must be exposed to heat. But if consumed raw, how does the THCA present in cannabis work? Well, according to Project CBD, THCA is known to potentially bind with the TRPM8 receptor (also known as the cold and menthol receptor; essentially, it makes mint feel cold). And at higher concentrations, it’s possible that THCA activates a heat-sensing receptor (TRPV4) and a pain-response receptor (TRPA1). It is therefore possible that, by interacting with these receptors, THCA can produce therapeutic benefits. However, there’s currently no research to suggest that inhibiting the TRPM8 receptor can, in fact, prevent nausea or reduce seizures, and the clinically observed effects of THCA remain unexplained. Scientists at the University of Guelph in Ontario published a study in 2013 that yielded some interesting results. They found that, by administering low doses of THCA (around 10-100 times lower than a requisite dose of THC), they were able to prevent nausea in rats. What’s more, they also discovered that THCA can synergize with CBDA, a potent antiemetic compound. It is therefore possible that the anti-nausea effect experienced from smoking cannabis could be the result of a small amount of THCA left behind when the plant is exposed to heat. In contrast to THC, which is largely outlawed across the globe, the legal status of THCA is less clear. As it stands, it is not scheduled by the United Nations’ Convention on Psychotropic Substances, nor is it scheduled at the federal level in the United States. However, if THCA is stored incorrectly and allowed to decarboxylate to form THC, it could lead to prosecution for possession of a Schedule I controlled substance. Answer: No. THCA is not scheduled by the United Nations, nor is it scheduled at a federal level in the United States. Answer: CBDA stands for cannabidiolic acid. When exposed to heat, CBDA decarboxylates and becomes cannabidiol (CBD). It is not psychoactive. Question: What is crystalline THCA? 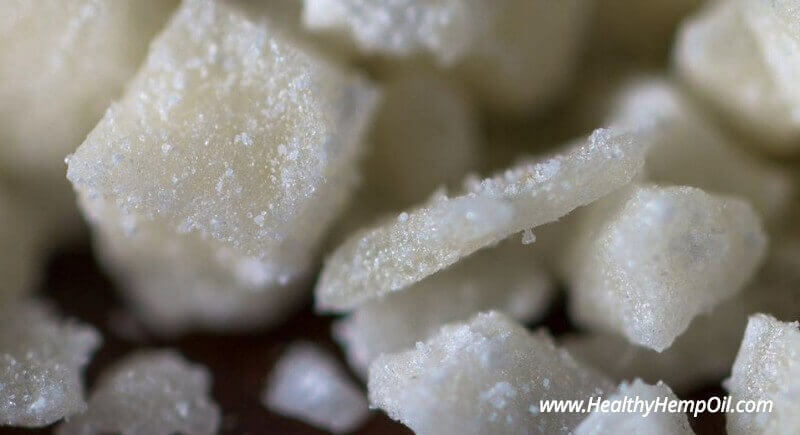 Answer: Crystalline THCA is known as “the strongest hash in the world.” It is a concentrated version of THCA that is white in appearance and looks like small, fine crystals. THCA is not psychoactive. To convert THCA into the psychoactive THC, it needs to be exposed to heat. Answer: CBGA stands for cannabigerolic acid. CBGA is the precursor to three main cannabinoids: tetrahydrocannabinolic acid (THCA), cannabidiolic acid (CBDA), and cannabichromenic acid (CBCA). Question: What does THCA do? Answer: THCA has potential therapeutic benefits, including pain-relief, anti-nausea properties, and anti-inflammatory effects. Question: What are CBD and CBN? Answer: Cannabidiol (CBD) and Cannabinol (CBN) are non-psychoactive cannabinoids, both of which can potentially produce pain-relieving and anti-nausea benefits. Question: What is Cannabidiolic acid? Answer: Cannabidiolic acid (CBDA) is a cannabinoid that, when exposed to heat, becomes cannabidiol (CBD). 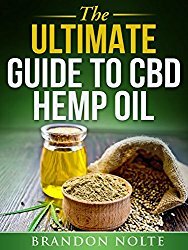 Question: Is hemp seed oil good for you? Answer: Yes. 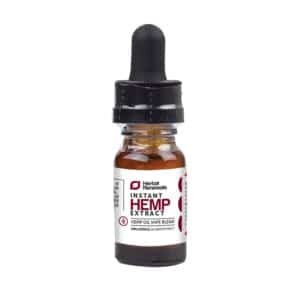 Hemp seed oil is high in essential fatty acids such as omega 6 and omega 3 and can be used to improve cardiovascular health and boost the immune system. Question: What are CBD crystals? Answer: CBD crystals are isolated and purified extractions of the cannabidiol compound found in cannabis. They can be dabbed or baked into edibles. Question: What is THCA powder? Answer: THCA powder is an isolated and purified powder of the tetrahydrocannabinolic acid cannabinoid. It can be ingested orally or dabbed.